Work has started on site to overhaul and rejuvenate a sheltered housing scheme in north Liverpool. Our blueprints for the Shallcross Court sheltered housing scheme in Everton are forging ahead after the designs were approved. The £1.3m scheme for Liverpool Mutual Homes sees the demolition of old external corridors and an out-dated, under-used communal block. 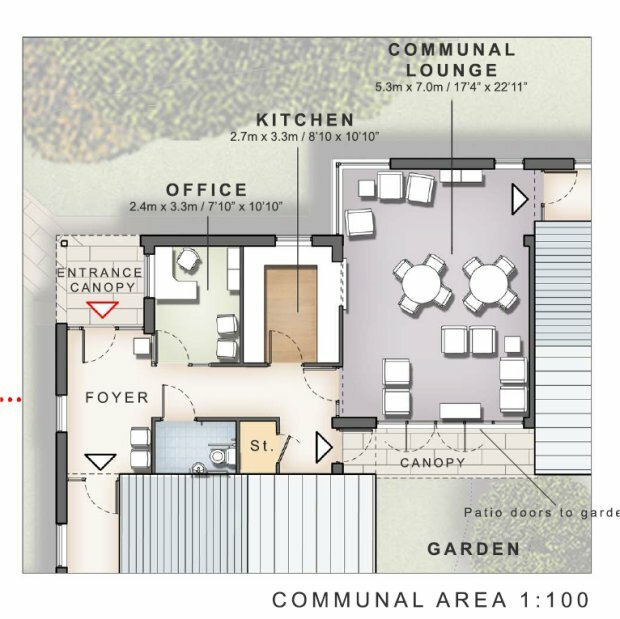 They will be replaced with a newly built communal centre that will have internal links to connect the scheme and a south facing landscaped garden. 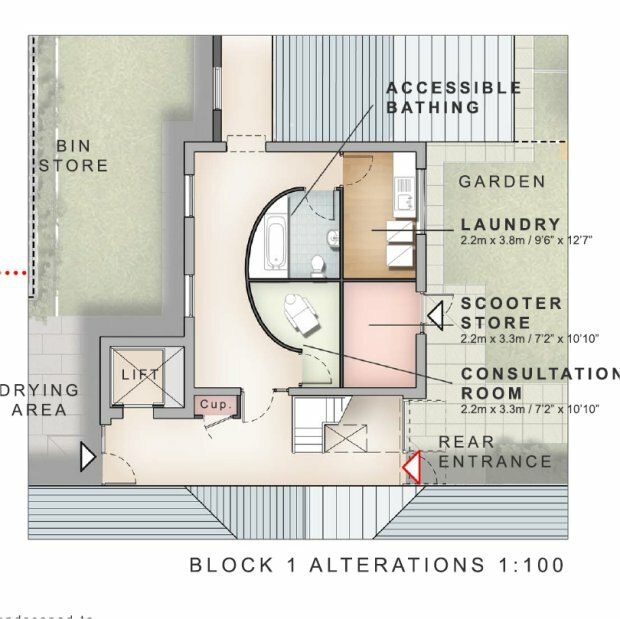 New facilities include a residents’ lounge with large expanses of glass so the garden can be seen all year round, a new laundry and a larger, modern office complimenting the main entrance. New pedestrian access will make it easier for residents to go to nearby shops and use local services. 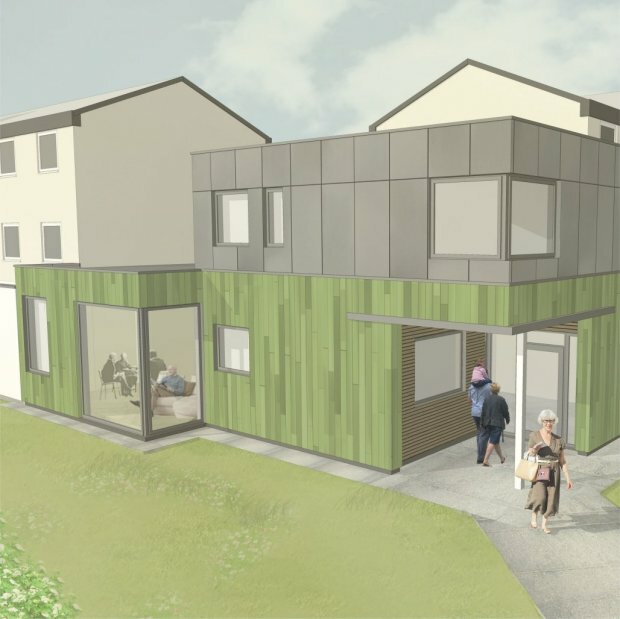 The new communal centre will be wrapped in vertical cladding of varying widths with staggered joints in shades of green, giving it a bold new look to make it the focal point. 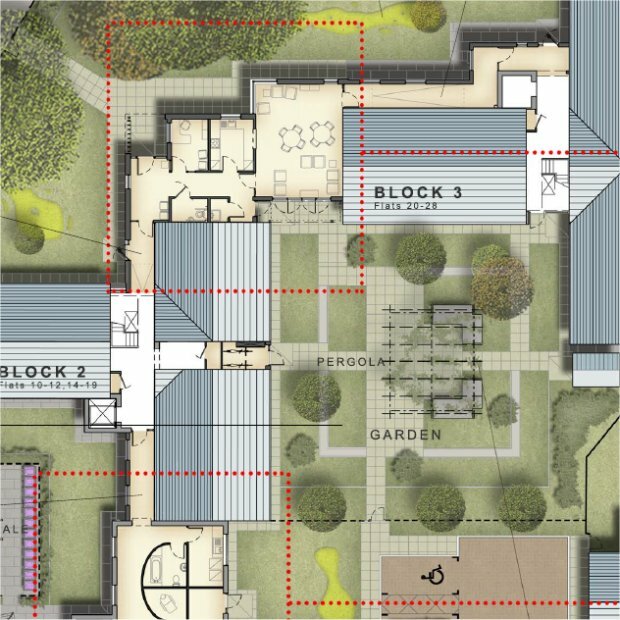 Joanne Mountfield at John McCall Architects, said: “The scheme was originally arranged across the northern aspects of the site leaving the southern areas free until 1991 when a communal block was built that divided the garden space into awkward little courtyards and sheltered walkways. “After consulting with residents, they were keen to have a better link to the local community, have a garden they could share as well as more secure parking. “We are doing away with the dark corridors and overbearing communal block which is completely out of character for the area. Chief Executive, Steve Coffey, said: “We have invested heavily in our sheltered schemes over the past five years to improve the standard of living for our residents who are all over 55-years-old. “Shallcross Court is the last of the 17 sheltered schemes we have transformed and it captures everything we have been trying to achieve. 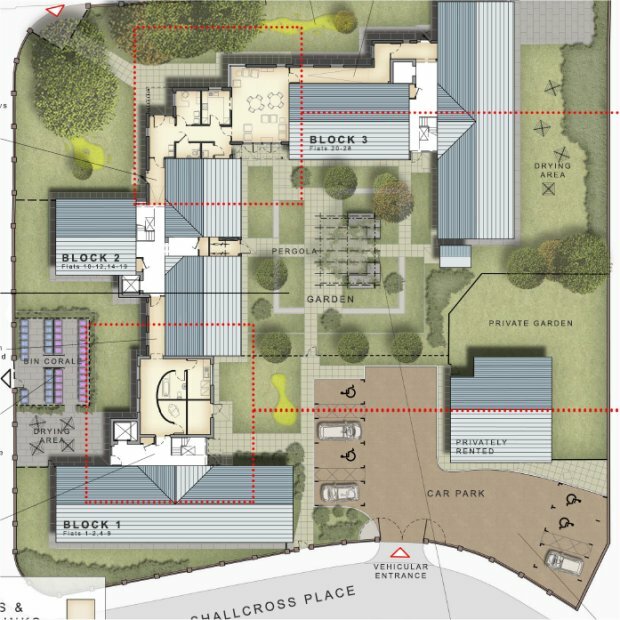 “Not only are we providing high quality independent living accommodation for individuals, but we have created fantastic shared areas where people can spend time together if they wish, so there’s a really strong sense of belonging and togetherness.